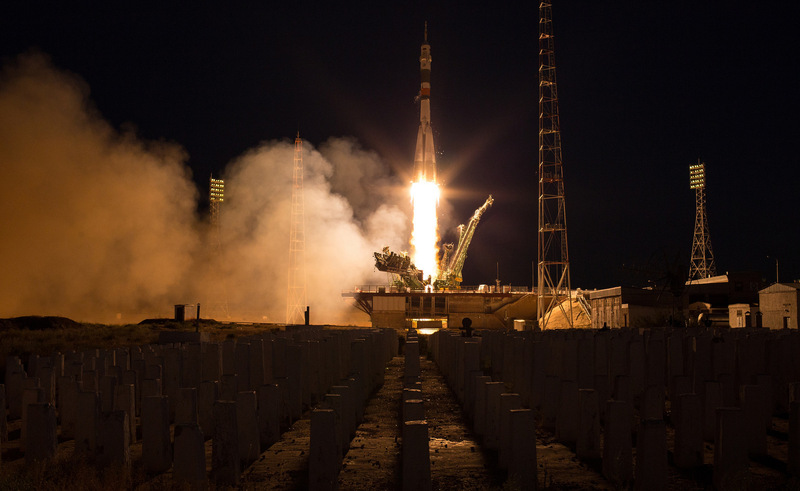 The Soyuz MS-05 crew is on its way to the International Space Station (ISS) following a flawless launch from Baikonur Cosmodrome in Kazakhstan. Liftoff occurred at 11:41 a.m. EDT (9:41 p.m. local time / 15:41 GMT) on Friday, July 28, 2017, utilizing the Soyuz-FG rocket. 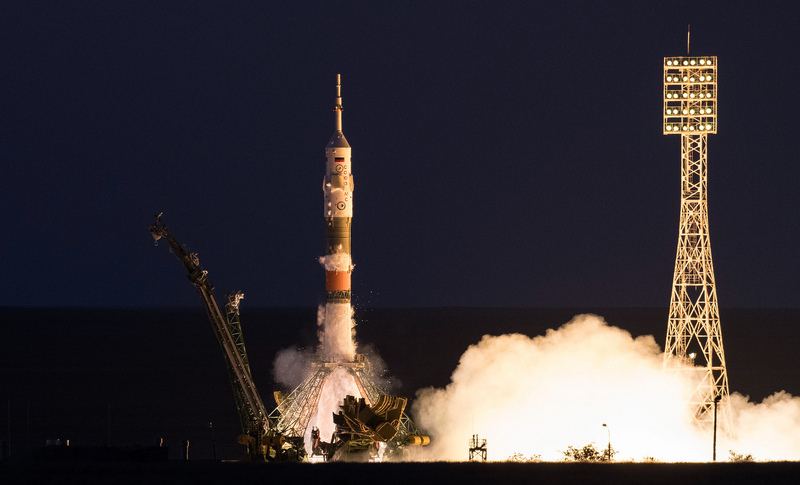 This was the 134th flight of a crewed Soyuz vehicle. The first stage, utilizing four strap-on RD-107A boosters firing in conjunction with the core stage RD-108A engine, produces a total of 930,000 pounds-force (4,140 kilonewtons) of thrust which hurtled the vehicle to approximately 28 miles (45 kilometers) in altitude when staging occurred and the four boosters separated from the core stage. The core, or second, stage continued to burn until reaching approximately 105 statute miles (169 kilometers) above the Earth when the third stage separated from the second stage. 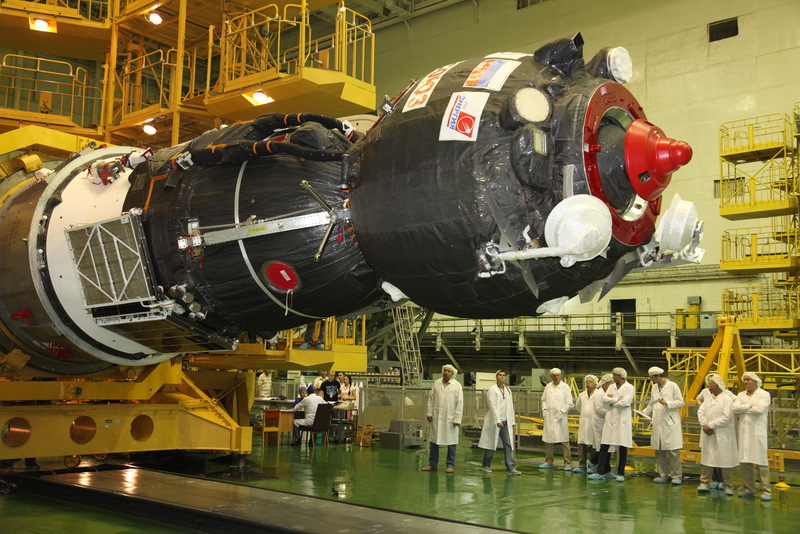 The third stage RD-0110 engine burned for approximately another four minutes, sending the Soyuz MS-05 spacecraft on its short 4-orbit trip to catch up with the ISS. 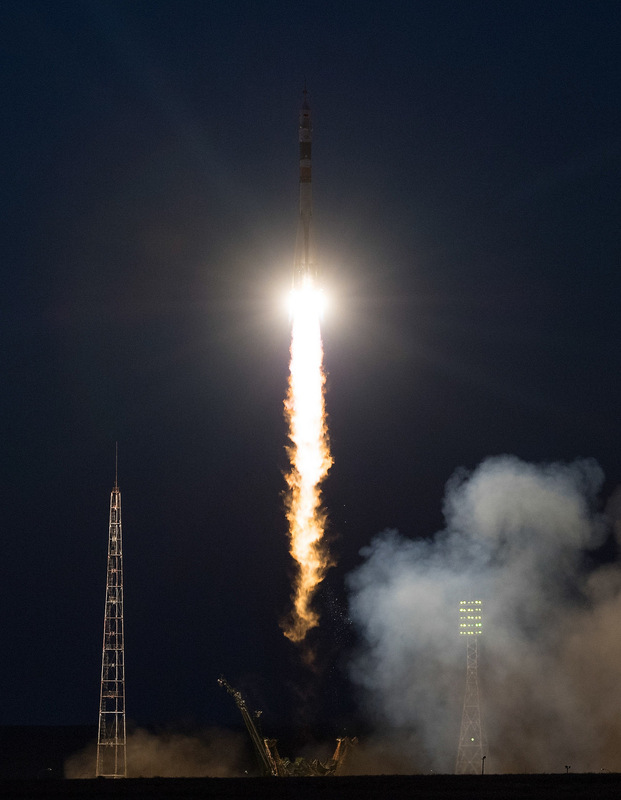 Taking just six hours, the express route to the ISS, as it has been named, saves consumables and gets the crew out of the cramped Soyuz capsule as quickly as possible. On a non-express trajectory, the trip to the station can take more than two days. UPDATE: Docking of the Soyuz MS-05 spacecraft occurred at 5:54 p.m. EDT (21:54 GMT) on July 28, 2017. 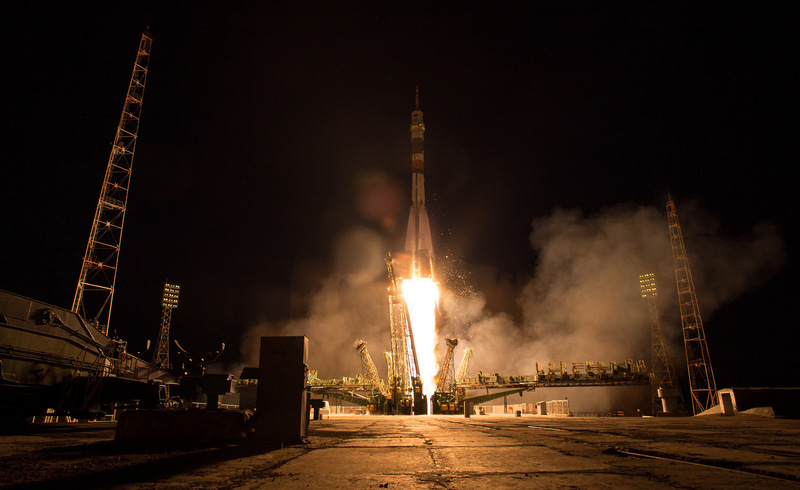 The addition of the Soyuz MS-05 crew will bring the ISS crew complement back to six following the departure of Russian cosmonaut Oleg Novitskiy and European Space Agency (ESA) astronaut Thomas Pesquet in June. Soyuz MS-05 crew members Sergey Ryazanskiy, Paolo Nespoli, and Randolph Bresnik will join Peggy Whitson, Fyodor Yurchikhin, and Jack Fischer who are currently orbiting aboard the ISS. Russian Cosmonaut Sergey Ryazanskiy will serve as a flight engineer for Expedition 52/53. A Biochemist, he was selected to become a cosmonaut in 2003. The commander of the Soyuz MS-05 flight to the ISS is making his second visit to the orbiting outpost. 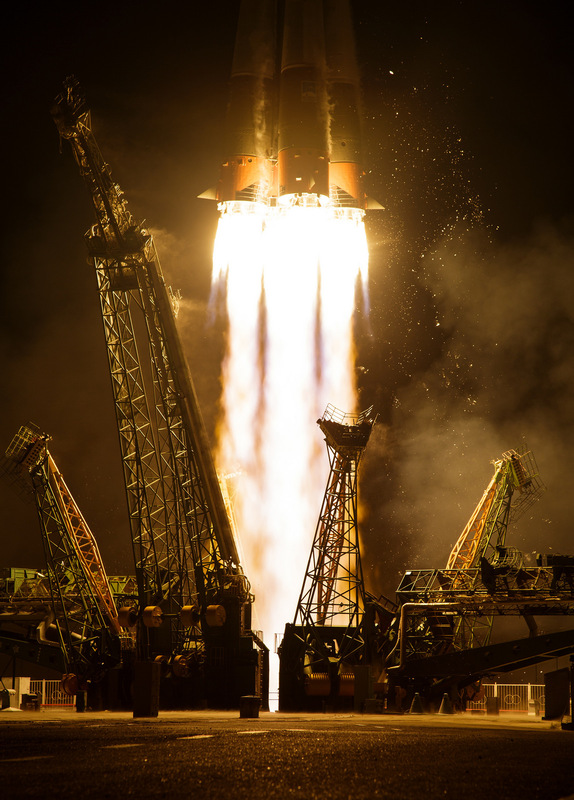 He has already spent 166 days in orbit as the flight engineer of Soyuz TMA-10M flight and the Expedition 37/38 mission. He performed three spacewalks during his first stay aboard the ISS, totaling 19 hours and 48 minutes. Sitting to the right of Ryazanskiy in the Soyuz spacecraft will be ESA astronaut Paolo Nespoli who will also serve as a Flight Engineer for Expedition 52/53. Nespoli, an Aerospace Engineer, joined ESA as an astronaut in 1998 and joined NASA as an astronaut in 2000. This will be his third spaceflight having served as a mission specialist aboard the Space Shuttle Discovery during the STS-120 mission. 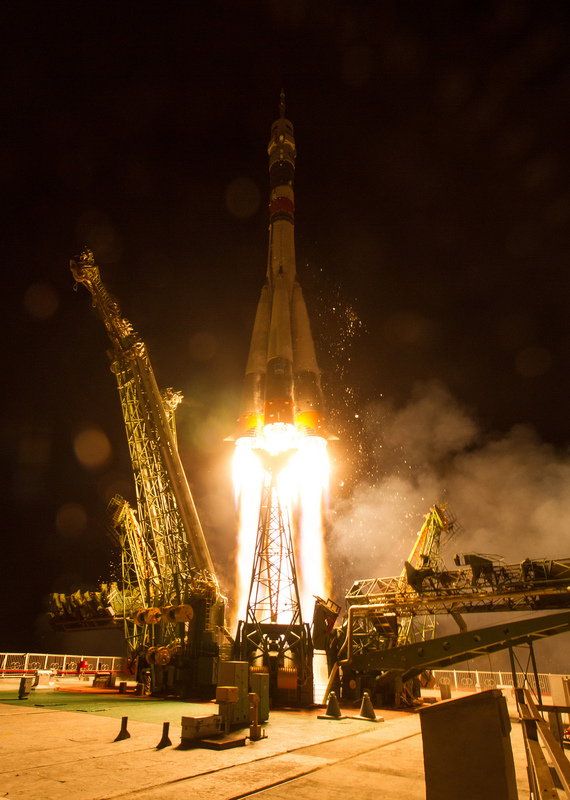 He also served as a flight engineer during a 159-day stay aboard the ISS for Expedition 26/27. 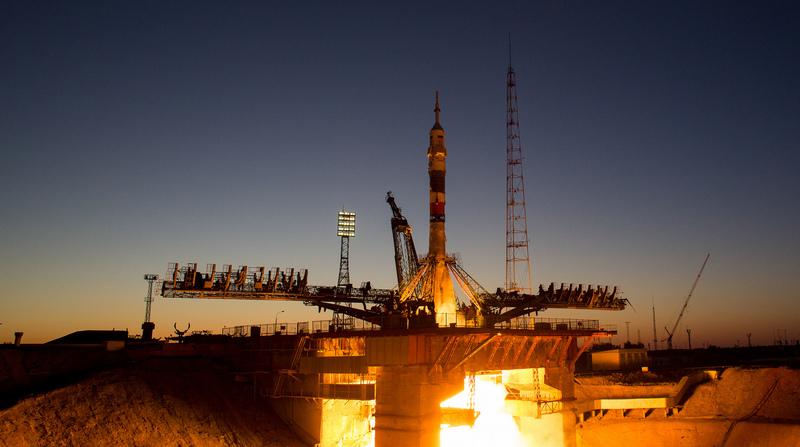 Sitting on the other side of Ryazanskiy will be NASA astronaut Randolph “Komrade” Bresnik. A retired Marine Corps fighter pilot, Bresnik will be the board engineer during the 6-hour flight to the ISS in the Soyuz MS-05. Once aboard the ISS, he will be a flight engineer for Expedition 52 before he takes command of the station for Expedition 53. Selected to be an astronaut in 2004, this will be Bresnik’s second flight in space. In 2009, aboard the Space Shuttle Atlantis, he spent 11 days in orbit while conducting two spacewalks totaling 11 hours and 50 minutes. Ryazanskiy, Bresnik, and Nespoli are scheduled to return to Earth on December 14, 2017. The Expedition 52/53 crew will perform hundreds of experiments, maintain the station, and receive supplies from as many as four cargo ships scheduled to launch during their stay. Among the highlights of their objectives will be the study of the physics of neutron stars, also known as “pulsars” due to the way they emit light; they are the remnants of stars that turned into supernovas and exploded. The Neutron Star Interior Composition Explorer (NICER) payload which is attached to the exterior of the space station will be used to study the nature and behavior of neutron stars. Another major objective is the testing of a new drug that could be used to counteract the effects of osteoporosis, the loss of bone density. While a result of aging here on Earth, space faring astronauts and animals also experience it during long duration stays in space. Currently, exercise is the primary tool used to combat bone loss in space, but there currently isn’t any way to restore bone that is already lost. The Systemic Therapy of NELL-1 for osteoporosis (Rodent Research-5) will test a new drug that in theory can rebuild bone structure and block further bone loss. 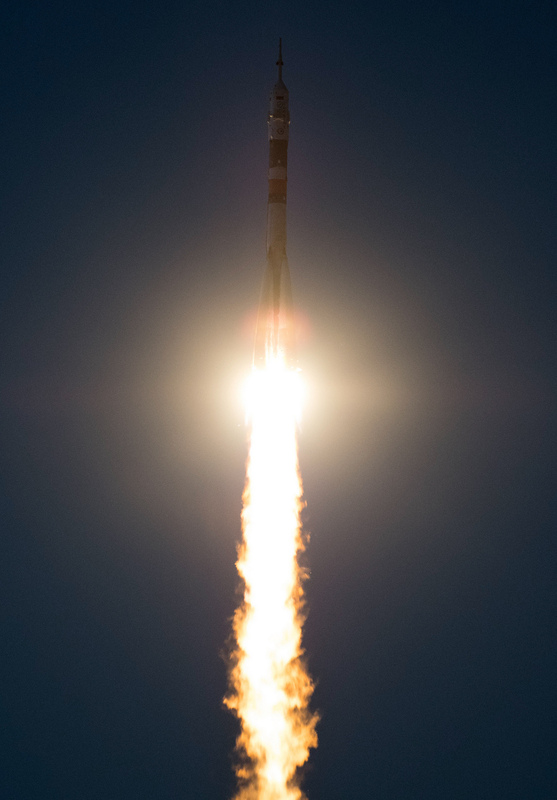 Another study will use fruit flies (Drosophila melanogaster) to hopefully determine what causes the adverse effects caused by long exposure to a microgravity environment. Some of the changes observed include heartbeat and heart rhythm irregularities, changes in blood volume, fluid shifts, and diminished aerobic capacity. Fruit flies, while much smaller, provide an excellent subject for testing as they age faster and have a well-documented genetic makeup. The Fruit Fly Lab-02 experiment will help to develop a microgravity heart model of the fruit fly. By studying the fruit fly, it is hoped that it will eventually lead to the development of countermeasures to the adverse effects of long duration spaceflight on astronauts’ hearts.